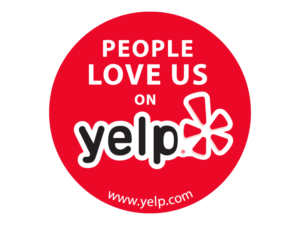 Not only do we fix your car, we also take care of ours! But our goal is to maintain your car, not fix it. Preventative maintenance saves you money! In fact, preventative maintenance has ensured that ALL of our own cars are over 160k miles! Maintenance is the most economical way of saving yourself and your bank account thousands of dollars over your lifetime (and your cars’ lifetime too). Did you know, a vehicle properly maintained and kept three years after your payments end will save you $20,000 to $30,000? 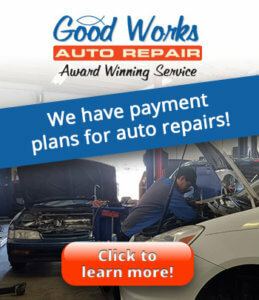 Let us show you the secret to lowering your auto repair costs and putting the extra cash in your bank account! Every time you visit our facility, we will raise the hood and check all the vital fluids. 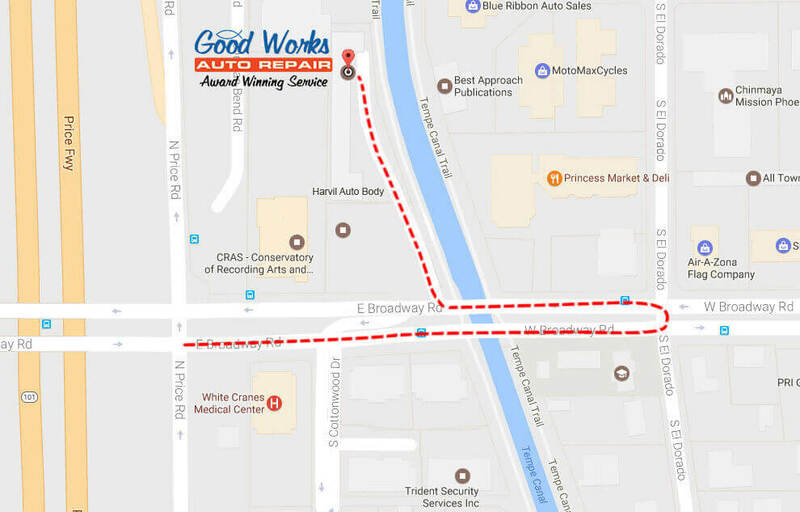 Our service team will then make maintenance recommendations based on the condition of these fluids, the odometer reading, and the time interval since your last service. For your convenience, we are attaching a Service Interval Schedule developed by the Car Care Council to help you keep track of regular maintenance needs too. If you have a child in school, you likely look forward to seeing their report card. Taking a quick read through it gives you a good idea of which areas they excel in and which areas need improvement. 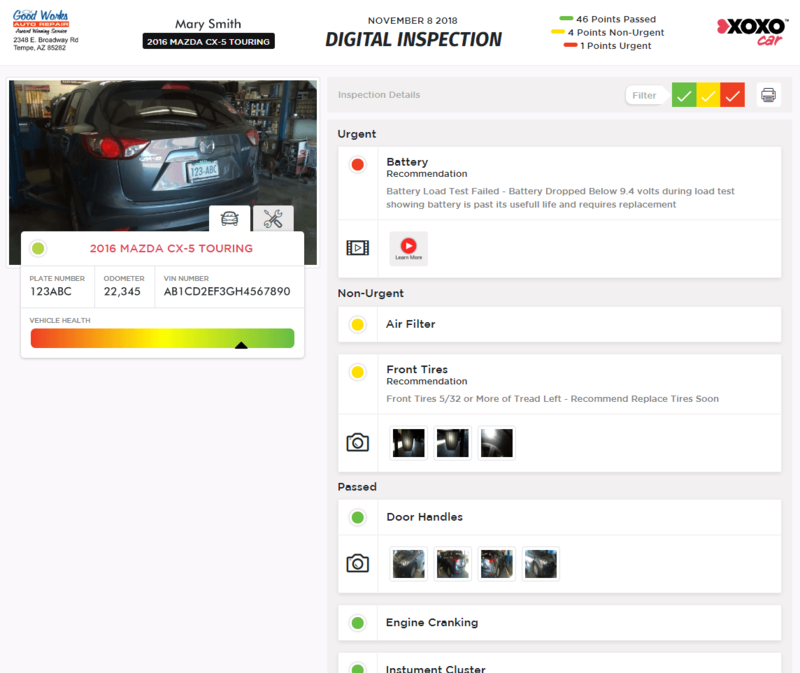 At Good Works Auto Repair, we believe you should have a similar tool to help you manage your car maintenance … introducing the Digital Inspection Report. This report is a comprehensive summary of your vehicle’s maintenance needs, all displayed in an easy-to-read format. At a quick glance, you will see what areas are urgent, meaning they require immediate attention. These items could be needed either for safety reasons or to keep your vehicle running at top performance. It also identifies things that aren’t urgent yet, but should be on your radar as you’re scheduling future maintenance appointments. Last, but certainly not least, it lists the things that are right with your vehicle. One benefit of the report being digital is that there are even opportunities to click on short videos throughout the report to learn more about a particular topic. Part of successful vehicle maintenance includes knowing what to expect and when. Expensive repairs can often be prevented by simply performing recommended maintenance when it’s needed. The Digital Inspection Report is just the right tool to keep you well informed of your vehicle’s health and keep you driving safely. All of your other car care needs!